Home / MOVIE REVIEWS / "10 Cloverfield Lane" Movie Review: A Psychological Thriller with a Twist! "10 Cloverfield Lane" Movie Review: A Psychological Thriller with a Twist! 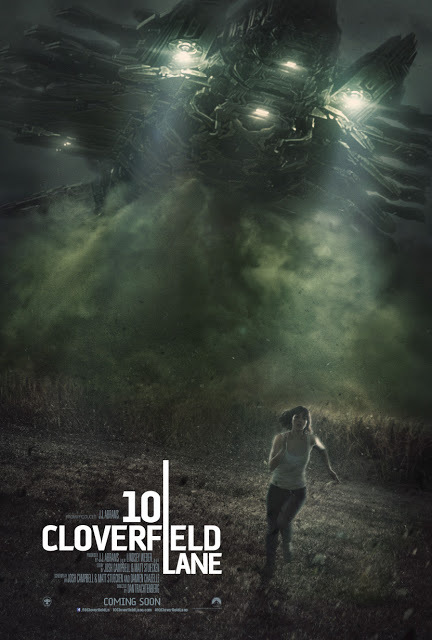 "10 Cloverfield Lane" has been showing in Philippine cinemas for quite a few days now and I must say, this one should never be missed out to watch! The movie is surprisingly a good film to watch and also has an interesting plot. The story of "10 Cloverfield Lane" can play mind tricks as you watch it. You will never know which one is the truth or which one you will believed in until you have reached the twist of the story. For those who are not familiar with the "Cloverfield" movie (like myself, shame on me! ), the film revolves around alien invasion of some sort, which eventually destroys the Earth and readies the people to fight the aliens. However, in the "10 Cloverfield Lane" film, you will not know if this will happen or not. Producer J.J. Abrams revealed in an interview that "10 Cloverfield Lane" is somewhat a "blood relative" to the "Cloverfield" movie but not exactly a sequel. He revealed that the movie is only part of a bigger picture that was "Cloverfield". Taking note of this, you will know that, yes, there will be aliens in this film, but you will not see them until the very end of the film. 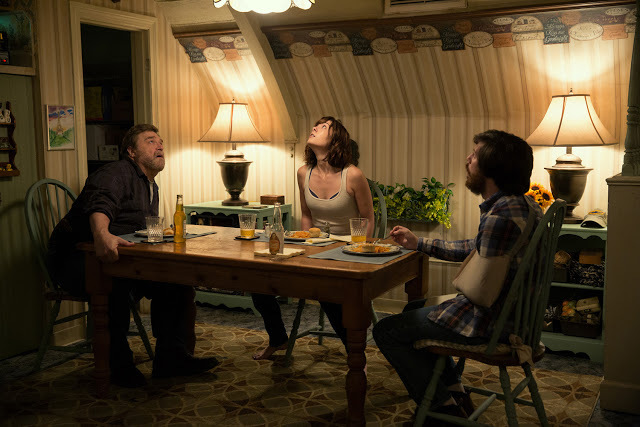 "10 Cloverfield Lane" is more of psychological thriller rather than an alien movie. You will feel uneasy, disturbed, think the unthinkable, and perhaps do even the wrong things possible as you watch this film. But entertainment-wise, the movie will really hit you as what they have planned to be. An exciting story development is also presented as you watched the film. You will get hooked and drawn as the movie progresses towards the revelation of the horrible truth with one of the characters. The minimalist feel of the movie, which most of the film's scenes were taken from a contained environment, also helped in the development of the film. Overall, we will give "10 Cloverfield Lane" a 9 out of 10 stars for the entertainment value it gave us as we watched the movie, for thriller and mystery, and the interesting plot of the film. Below is the exciting movie trailer for "10 Cloverfield Lane". Catch it in movie theaters! Enjoy!